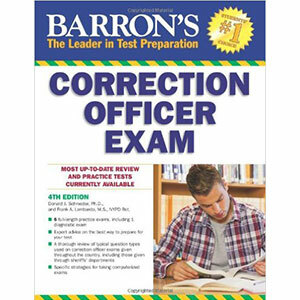 Updated to reflect the most recent requirements for correction officer candidates, including sheriff's departments, this review book presents strategies for the different question types used on correction officer exams in jurisdictions across the country. It also contains hundreds of practice questions written in the style used on official examinations. The authors, both highly experienced retired law enforcement officers, also present an overview of correction officers' duties and requirements. New to this edition is a much-needed strategy for handling computer-based multiple-choice questions, which are becoming the norm in civil service entrance exams, as well as a strategy for handling a new question type known as "word selection." A diagnostic test and five full-length practice exams come with answer keys, diagnostic charts, and answer explanations. All exams are similar in content to those given across the country.